CDN77 is a European-based company, founded in 2011. According to their self promotion, they are transparent with their business and pricing. They serve over 500 million requests per hour for more than 19,500 websites. 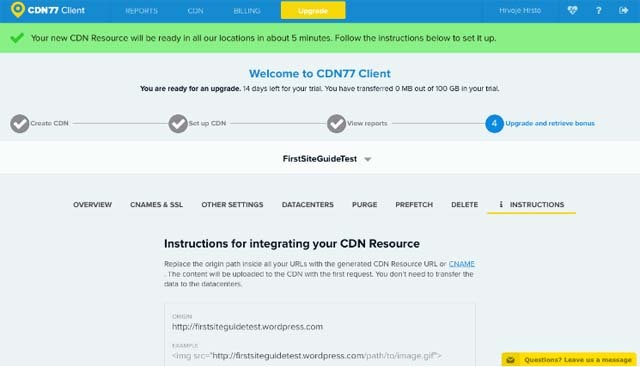 Is CDN77 a beginner-friendly CDN that can really get you up and running in five minutes? Is it just an easy, oversimplified service or a service that even advanced users can get behind? Signup is a relatively easy and foolproof process. 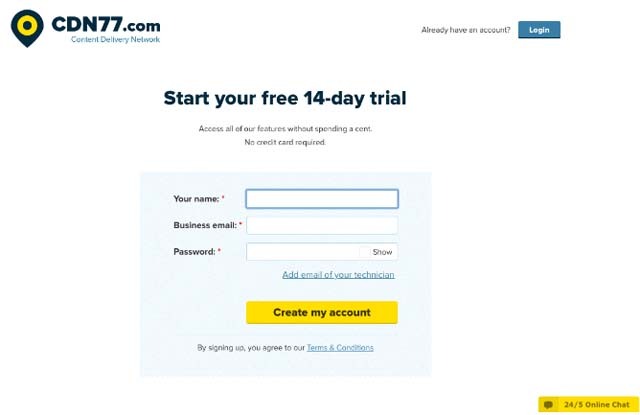 All that’s needed to get their 14-day free trial is to provide a name, business email and password, and you’re all set to test out their services. Beginners aren’t likely to get lost since there are helpful tips and explanations throughout the process. When you decide to upgrade, you’ll get a 20- to 30-percent bonus for prepayment with low-volume traffic options. This is only available with your first payment. At this point in the signup process, you’ll have to provide your address, city, zip code, country, EU VAT if you are from EU, and indicate whether you’re going to pay with a credit card or PayPal. If you decide that you need one of the high-volume traffic options, monthly plans are offered. Setting up your CDN is relatively easy. When you set up your origin domain, you will need to decide whether or not you want to have CDN storage. After you assign an identifying label, you are almost fully set up. Next, you’ll get instructions on how to integrate your CDN resource manually, or if you are using one of the most popular CMSs, how to easily integrate it. At this time, they support WordPress, Magento, Drupal, Opencart, Joomla, SocialEngine and PrestaShop. We tested out everything with WordPress and we found three different plugins on their help pages that we could use, though only two of them worked. However, we could chalk that up to plugin malfunctioning, not the CDN77. In the end, we were literally up and running within the promised five minutes. Bravo for that. We must mention that you get a shared SSL from the get go. If you want your own SSL certificate, you can get one—for a price, of course. You can choose from 32 data centers across Europe, Asia, Australia, and North and South America. They offer geoblocking and traffic polarisation through PoPs and various cache services like secure token authentication, HTTPS redirect or MP4 pseudo-streaming. You can manage your cached data by purging or prefetching specific files. It has a great API, which, combined with graphic reports that allow you to see bandwidth, traffic, hits/misses and other logs, is both useful and user-friendly. All in all, you can easily see where and how you should allocate your resources. Without the CDN77 support and flushed browser cache, the longest it took for the browser to load all content and files from our 5.53KB data website was 15.41 seconds, which is extremely long time. It took 1102 ms to establish a connection to the web server and 1.21 seconds to download all the data. The best time with CDN77 was 2.75 seconds to load all content and files. It took 35ms to establish a connection to the server and 0.07 seconds to download all the data. Without CDN77, first byte and loading times were all over the place across the globe. On average, it took about 1.53 seconds for the first byte, although one request from Toronto, Canada took 18.32 seconds. Load time was 4.32 seconds, on average. 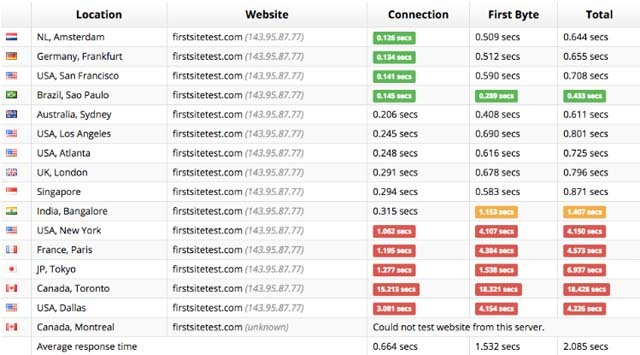 The worst loading time was from Beijing, China when once it took 50 seconds. 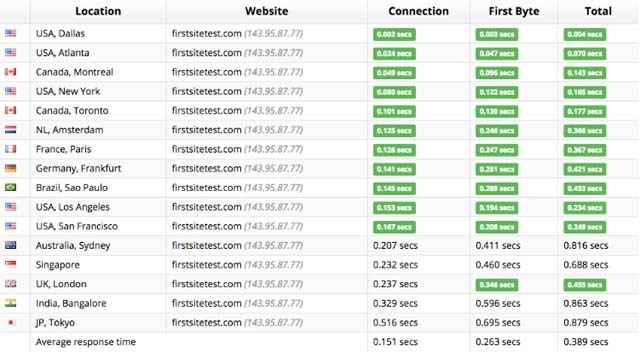 With CDN77, on average it took 0.26 seconds for the first byte response, while average loading time was 0.38 seconds. The worst loading time with CDN77 was from Paris, when it took 1.52 seconds, which is still slightly under the average response time without it. We tried to test this with approximately 60 simultaneous requests. There are various ways to get support. They provide a knowledge base that has dedicated section for beginners. They also have email, tickets, phone, Skype and chat support—available 24/5. You will get a slower response during the weekend (or none at all in a case of Skype or chat). All said, there are a variety of ways to get in contact with the helpful and pleasant support. CDN77 has pay-as-you-go model with no contracts or commitments for low traffic. Storage is free up to 50GB and then starts at $20 per month. For high-volume traffic, they have monthly plans. US&EU Plus allows you to activate up to 6 data centers. US&EU Premium allows you to activate over 17 data centers. APEC countries’ prices for high-volume traffic may vary, while Hong Kong and Singapore go from $40 to $125/TB. CDN77 offers a 20- to 30-percent bonus that’s only available with your first payment, which is kind of like a down payment for their pay-as-you-go services. The amount of the bonus increases with the size of your first payment, although there’s no bonus with the minimum deposit of $99. CDN77 accepts credit cards and PayPal. 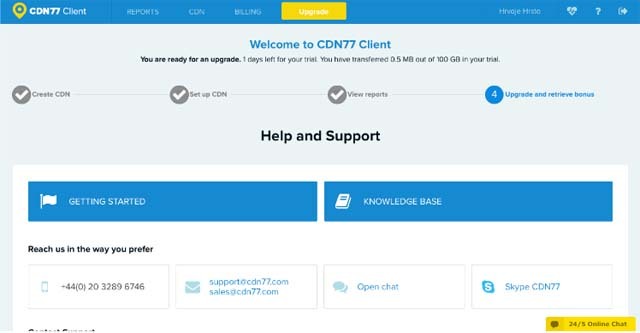 CDN77 certainly delivers on what it promises. It’s easy to set up and they are transparent about what you’re paying for. When it comes to low-volume traffic, you can shuffle and combine resources as you want. 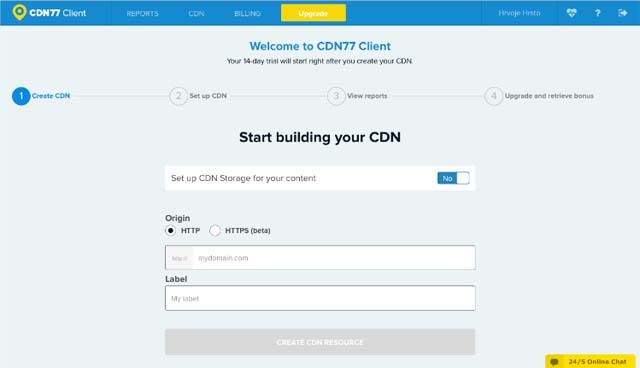 If you aren’t a global force, but a small business that could use a CDN service, CDN77 just might be your top choice. This is especially true if you consider their no-commitment plans and up to 50GB free storage. 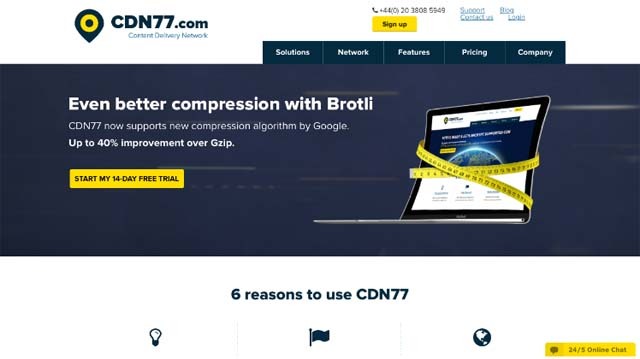 However, even if you’re looking for a faster high-volume CDN, it may be worth your while to check out CDN77 before looking elsewhere.